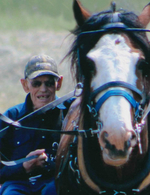 The death of James "Jim Bob" Shopland, beloved husband of the late Grace Shopland and dear father of Gary, Shirley and Garth occurred at the Brandon Regional Health Centre on Saturday, October 28, 2017. A Come and Go Reception took place at Memories Chapel on Friday, November 3, 2017. Jim was laid to rest at Rosewood Memorial Gardens. Donations in memory of Jim may be made to a charity of choice. Complete obituary information will follow.